Generic Company Place Holder Ninja Striker! Despite Japanese warriers being cliche video game territory, Ninja Striker! dances on the knife's blade with great skill—balancing a surprisingly well executed game with an adorable and somewhat familiar world. The most important aspect of the game is its exceptionally clever control scheme, which eschews the tradiotonal direction pad and two button system for a one-button tap approach that works better for mobile. In practical terms, your ninja will move to where you touch, his movements also serving as an attack. 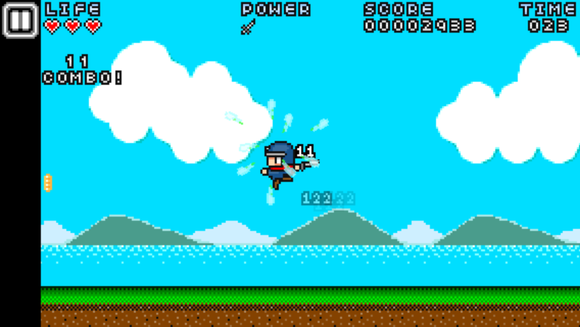 Tap on enemies and your ninja will fly to them and slice them until they're dead. Think Sonic's homing jump, but way cooler. Tapping on a enemy causes your ninja to attack. 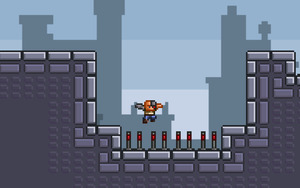 This doesn't mean the game is a cakewalk with katanas: Obstacles range from dagger-filled pits to cat demons, and the level of difficulty should satisfy fans of games like Mega Man and Ninja Gaiden. It's best to go into this game expecting to see the game over screen—a lot. As you play you'll earn gold that you can use to buy upgrades, such as better attacks and more life, and you have the option of exchanging real money for in-game currency via in-app purchases. You can, however, make it through the entire game without having to spend more than the $1 it costs to download the app. The art style is in the classic tradition of 16-bit Super Nintendo games, with enemies that actually seem straight out of the classic Mystic Ninja and Kirby titles. That doesn’t mean Ninja Striker isn’t a compelling game on its own accord—the tap battle mechanic, retro experience, and overall difficulty make this one of the better platformers on iOS. If you haven’t had enough somersaults, katanas, and shuriken, Ninja Striker is a cheap way to get your assassin fix. Ninja Striker! 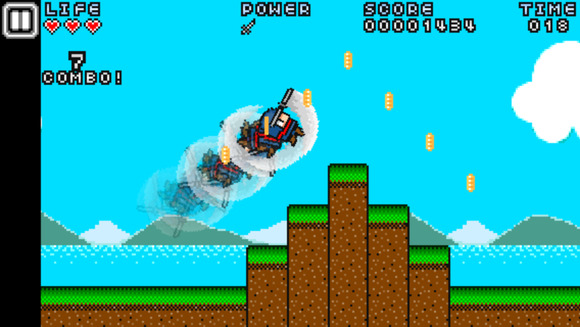 is an excellent retro-platformer with a satisfying level of difficulty.